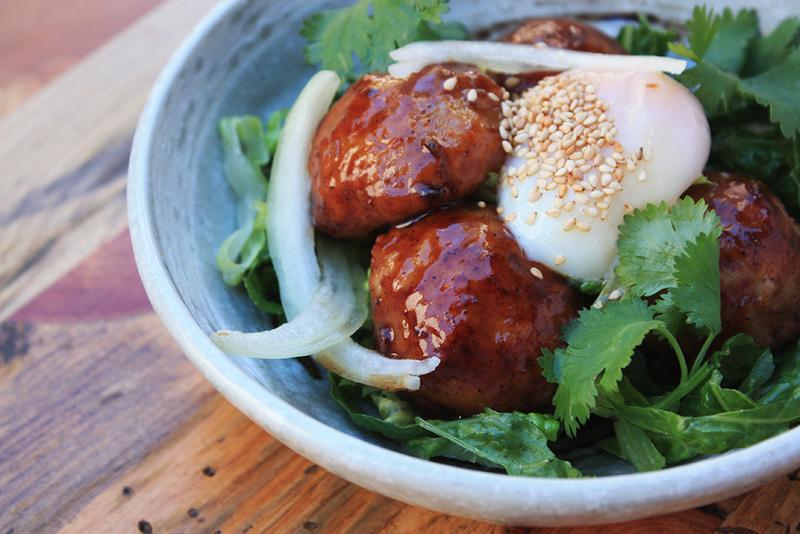 These juicy pork meatballs are glazed with a sweet soy reduction and served with a refreshing romaine cilantro salad, pickled onion, and finished with a soft sous-vide egg. 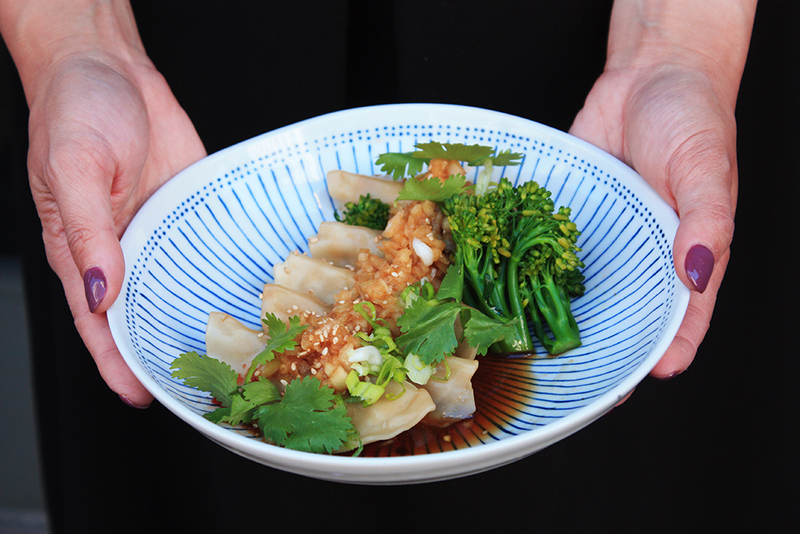 Steamed instead of pan fried for a chewy, tender exterior, our Chicken Sui Gyoza is packed with umami flavour and is paired with an addictive sweet and sour scallion sauce. 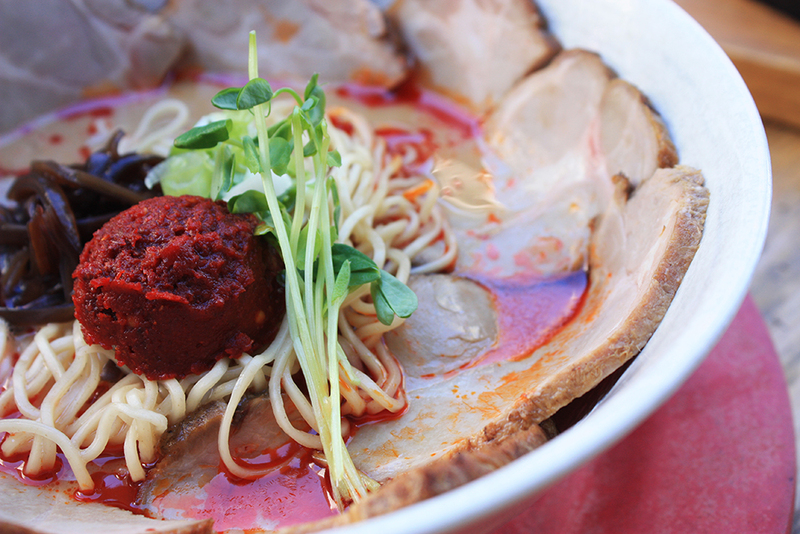 Attention all Char Siu lovers! 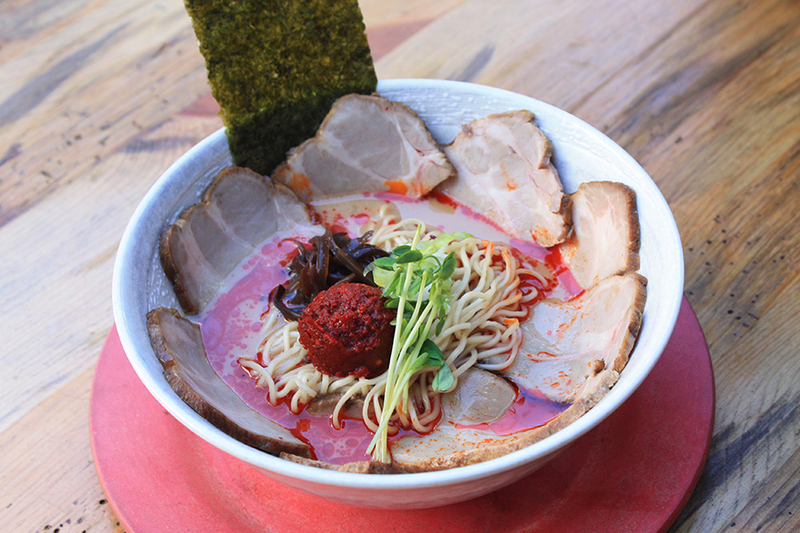 One of the new additions to our ramen lineup, this bowl of rich, pork based broth ramen is topped with an astounding 8 slices of mouthwatering pork char siu, chewy kikurage, spicy aromatic akadama, and drizzled with housemade chili oil. 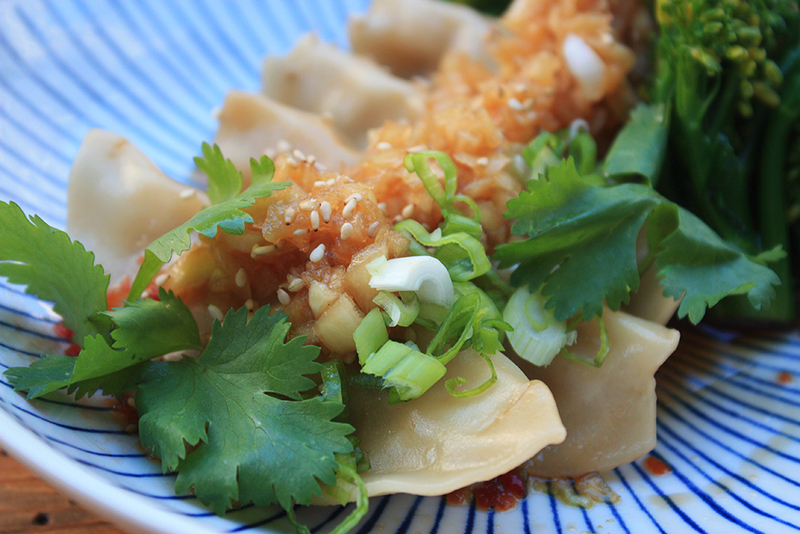 The texture of the Golden Bao Fritter is simply divine- crispy on the outside, yet pillowy soft on the inside. 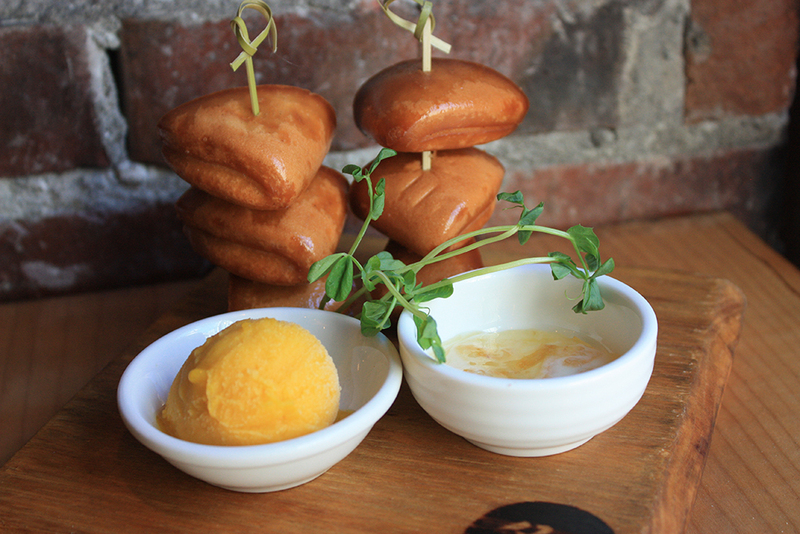 Lightly deep fried, this after meal treat is served with citrus yuzu marmalade, sweet condensed milk, and our feature ice cream. 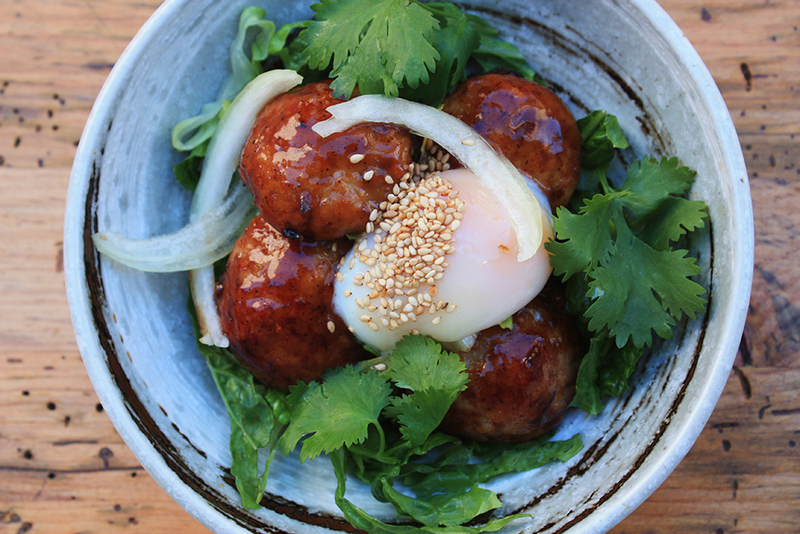 Check out our full dinner menu here, and join us for a cozy fall evening today!